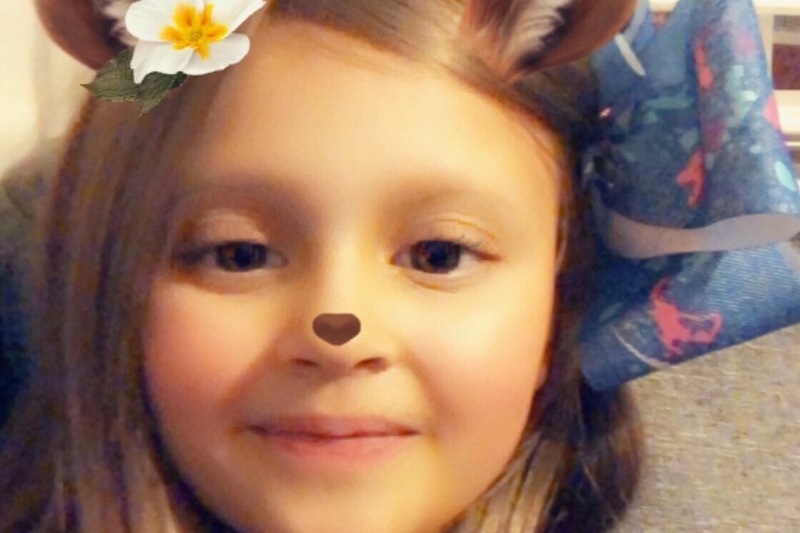 After returning from vacation in Florida with her grandparents, our daughter, Madelynn Klaire Grigsby, complained of sharp stabbing pains in her “tummy”, which prevented her from moving. I took her in to see her pediatrician and what we thought was normal abdominal pain, turned out to be something more serious. They ran a CT scan and found a massive tumor on the right side of her ribs. I was told to wait for the surgeon and oncologist to call the next morning. That following morning, we immediately rushed her to the Emergency Room at Roseville Kaiser due to excessive pain in her abdomen. Over the next couple of days, our hearts sank with every test, scan, and biopsy, every time a medical staff entered, spoke, or left the room, every single second we sat by her side. 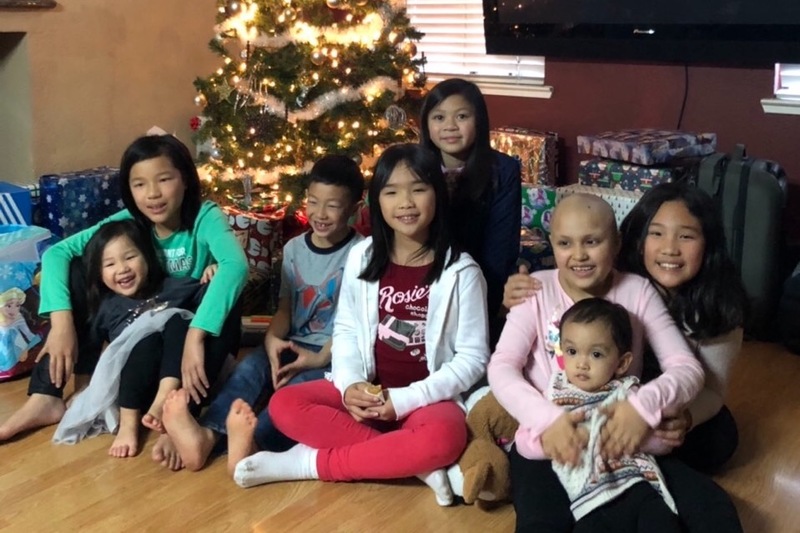 A week before her 7th birthday on July 23rd, the oncology team at UCSF Benioff Children’s Hospital confirmed their initial diagnosis of an extremely rare form of cancer called Ewing’s Sarcoma (about 200 cases reported every year). Ewing’s Sarcoma is a cancerous tumor that grows in an individuals bones or the soft tissue around the bones, such as cartilage or the nerves. 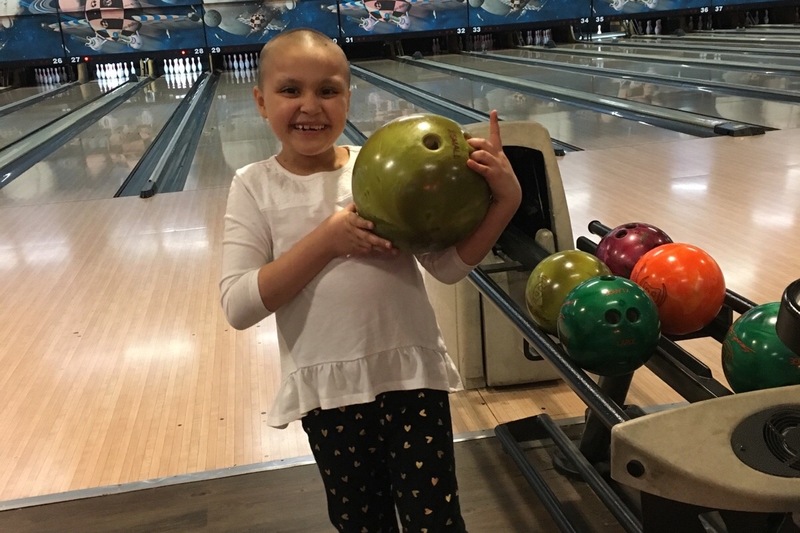 When they found the cancer in Maddie, it had metastasized from her ribs, down her spine and legs, as well as other parts of her body. Her ability to walk was affected and continues to feel excruciating abdominal pain, despite being given pain medication. 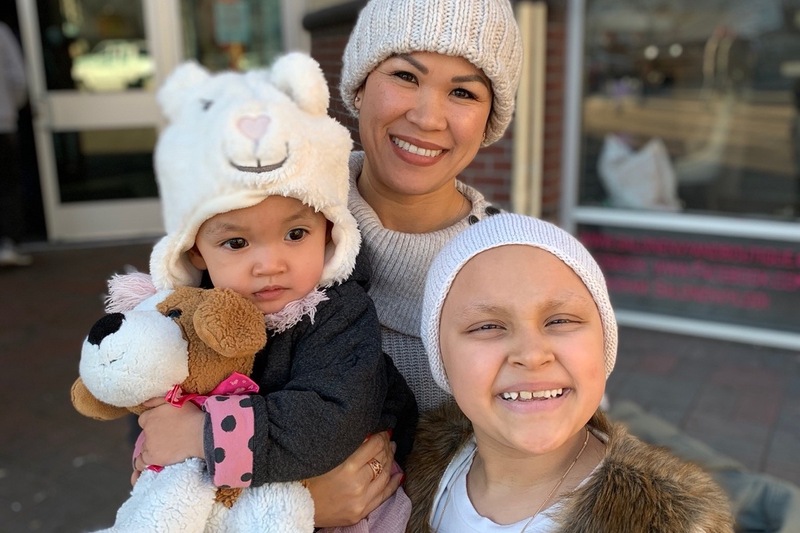 Maddie has received her first round of chemotherapy but due to the toll of treatment on her body, she underwent a blood transfusion to balance the low red blood cell count. Our little Maddie is such a warm, humble, and loving individual that loves to make others smile! 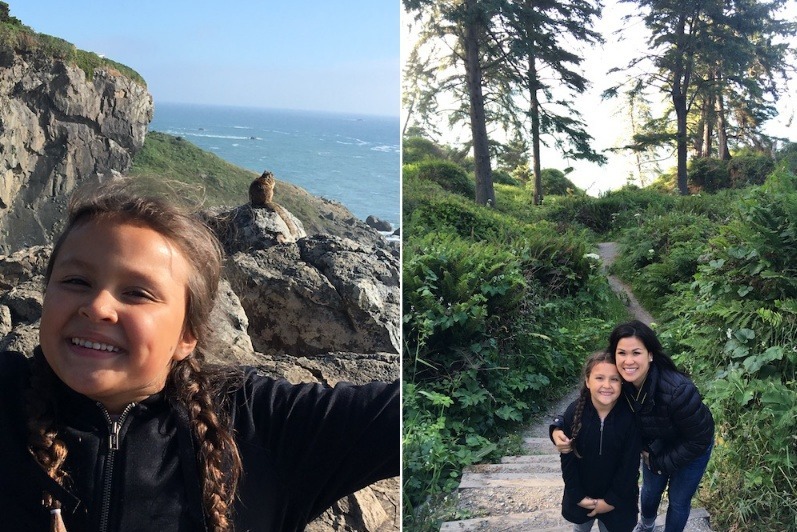 Before this, our daughter was healthy and extremely active, enjoying hikes and swimming with her family and friends. She’s an adventurous girl that prefers physical activities and being outdoors. Throughout all of this, we are and will continue to be optimistic, trusting in God. At times when our minds stray down the "wrong path", all we do is think of Maddie and her positive spirit. She continues to smile and fight this battle through all her pain and suffering. 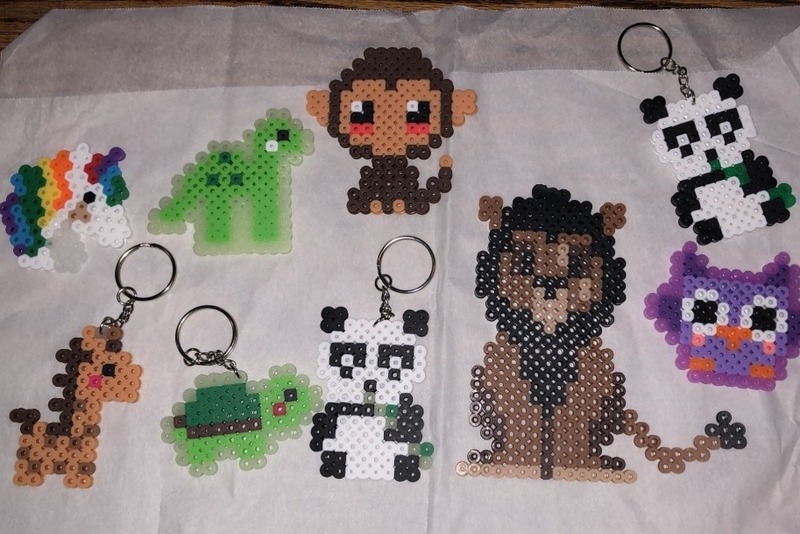 She currently enjoys making keychains and personalized art with Perler beads, here are some of her favorite projects! 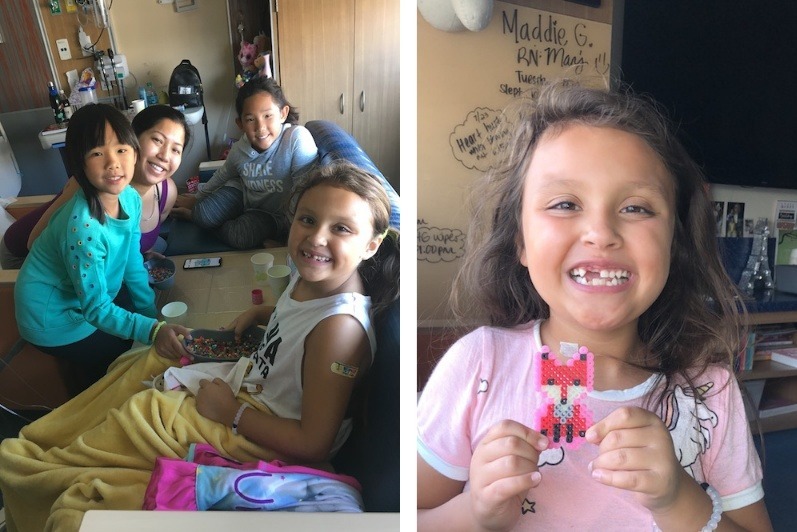 Please join us in helping our little Maddie fight. Any amount is greatly appreciated and will go directly towards her medical expenses (medication, chemotherapy, etc.). We will update you every step of the way! Thank you for taking the time out of your day to visit Maddie's page. We cannot express how grateful we are for your love, prayers, encouragement, and uplifting words. 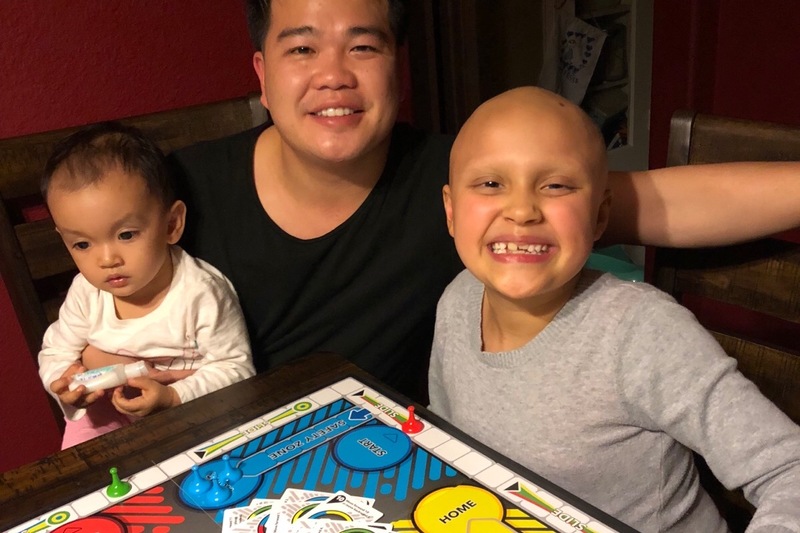 Update on Maddie: Hello everyone! Hope you all had a wonderful Christmas and New Year. Maddie definitely enjoyed both Christmas and New Year. She completed her 8th round of chemo before Christmas and went in for 2 platelets transfusion before her 9th round of chemo last Thursday. She discharged Monday evening and remained in great spirits. I’m so thankful she responded so well to the treatment this time around with hardly any negative side effects, other than a tummy ache on the first day. She had 5 day chemos back to back, so I was afraid it would be hard on her, but Maddie remained strong and resilient. So thankful she is having normal appetite and high energy. They drew her labs every other day when she was at the hospital and her white blood counts continue to drop, but her red blood and platelets are still high. She will get her next labs done this Friday and we are hoping her numbers remain high. 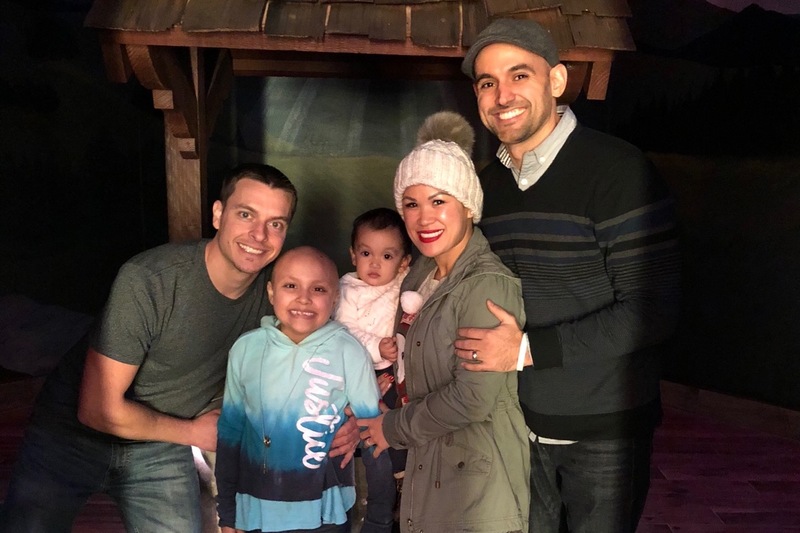 Maddie was able to visit the Make A Wish Foundation a week before Christmas. I posted a picture of all of us in front of the Wishing Well. We are thankful for everyone’s prayers for Maddie. God definitely has shown his faithfulness through Maddie's miracle. God is so good! We love you all and thank you for your continued support! Hello everyone, hope you are enjoying this holiday season. Maddie loves everything about the Christmas season, especially the lights and looking for the elf each morning at both her dad’s and my home. She completed her 7th round of chemo on 11/28, and as expected, experienced a lot of nausea and some vomiting. She recovered after 4 days and remained strong and heathy. 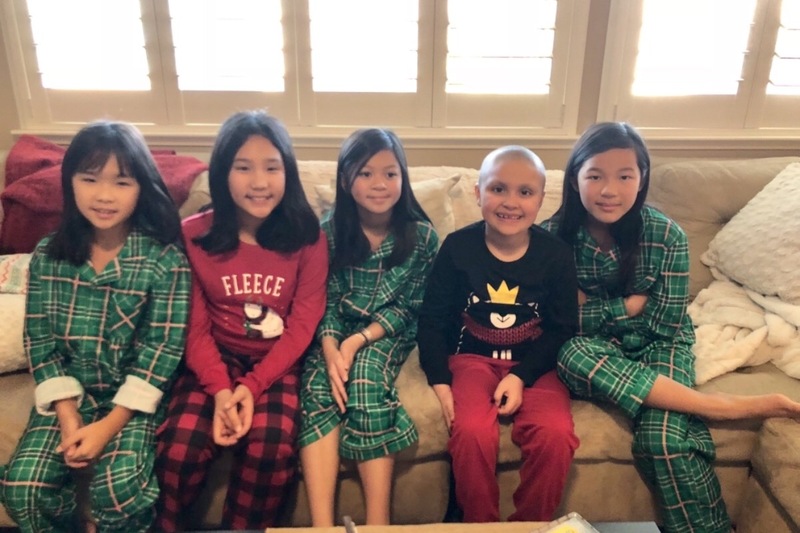 Thankfully, we were able to have our annual Christmas pajama party and Maddie had an amazing time surrounded by her cousins, aunties and uncles who loved seeing her full of life. There were many fun activities there, like making gingerbread houses, bingo games, painting, singing and dancing challenge between the boys and girls. She really enjoyed the singing and dancing part. Maddie got to go see “The Nutcracker and the Four Realms” with baby Sofia and even got to go bowling. 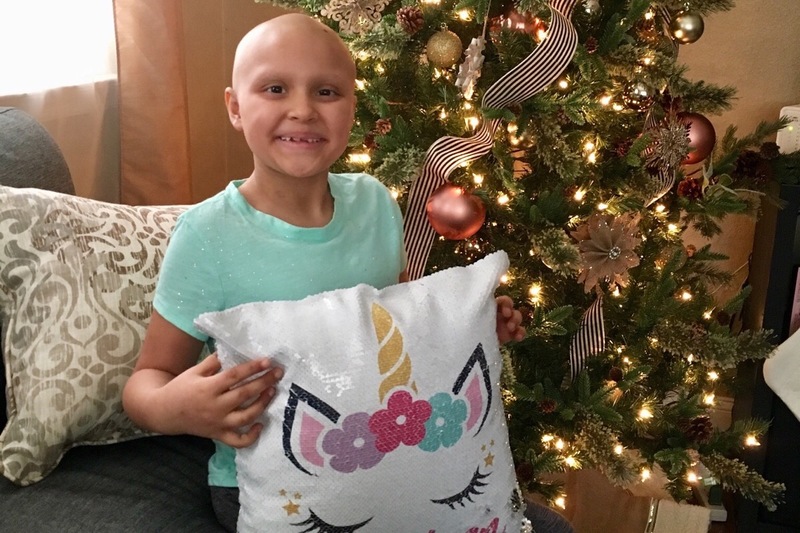 Update on Maddie: Maddie was discharged from the hospital last Monday afternoon on 11/12. 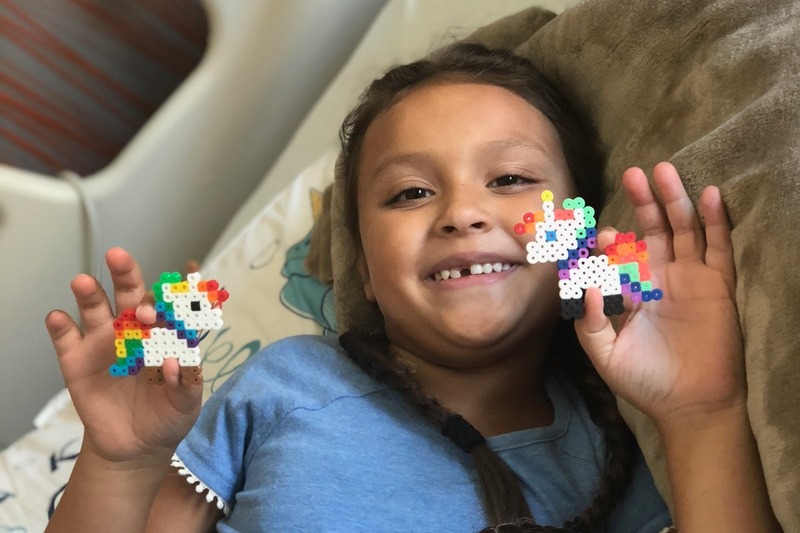 Her cultures all came back negative and she was able to get up and down from her bed, walking to the nurses station, so they felt it was okay to discharge. She had a low grade fever of 100.4 that evening, but her temperature went down after she was given some Tylenol an hour later. She still had a lot of pain so she needed oxycodone every 4 hours from Monday - Thursday. We are so proud of how strong Maddie is for not needing any more pain meds since Thursday afternoon. She continued to have a fever again on a Tuesday and Thursday, but both times the fever went away after a low dose of Tylenol was given. Thank you, Jesus. Her dad and I become very worried each time she breaks out in a fever, because that’s a sign of infection, but thankfully it never lasts longer than an hour. She still moves around slowly because it is still tender and sore inside, but she never complain of pain. Also, her incision is healing very well and Maddie is more independent with the shower. This was a major surgery and thank you, Jesus, Maddie is recovering very quickly. It also helps because throughout her recovery, she has maintained a very positive attitude. Glory to God, he continues to give her peace in the midst of this storm. She is scheduled for chemo after Thanksgiving, on Tuesday 11/27. I pray her body is completely healed inside and is ready for her nexy treatment. The surgeon will meet with us before to make sure she is ready. 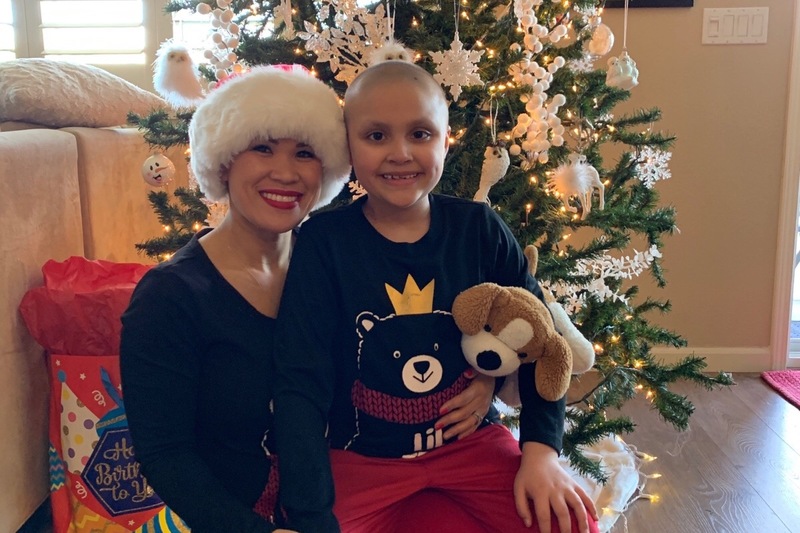 We are approaching the holiday season and Maddie was welcomed home to a house decorated with Christmas decorations (all thanks to Lifesong church). She loved the Nativity scene and the Christmas tree. We are so thankful for all your prayers and continued support. We get to see how powerful prayers can be by all the miracles happening with Maddie. We pray for continued strength and peace for Maddie and declare complete healing of all cancerous cells. God is in control and he will have the last word. Sending love and blessings to all of you. Her uncle introduced Maddie to this singing app, Smule, and Maddie sang a duet of Hallelujah with a recording online. It was the sweetest thing I’ve ever heard. You can listen to it by clicking on the link below.